AUDIOGRAM + WHAT IS IT AND WHY USE IT? ​Audiogram+ is the ReSound proprietary fitting algorithm or prescription formula. We use hearing aid fitting prescriptions every day, but let’s refresh our memories as to what they are. Prescription formulas are recommended amplification characteristics calculated by measured and noted elements of the client. The recommended amplification characteristics within the Audiogram+ prescription were developed after thousands of fittings and years of experience. Audiogram+ is generally a non-linear fitting prescription. Individuals with sensorineural hearing loss have decreased sensitivity to soft sounds but their sensitivity to loud sounds will remain approximately the same. This causes a decrease in the available dynamic range of input levels to the individual. This abnormal growth of loudness is what we refer to as recruitment. ReSound, some years ago, pioneered Wide Dynamic Range Compression (WDRC) technology to compensate for recruitment by applying progressively less gain with increasing input levels via Audiogram+. ​The image above clearly displays the influence of recruitment on loudness perception for a typical sensorineural hearing loss. 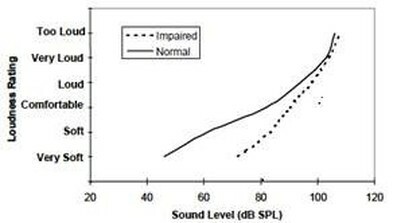 The hearing impaired individual would need a sound level of approximately 75dB SPL to perceive the same loudness as a normal hearing individual would at a signal of approximately 45dB SPL. However, both individuals sensitivity to loud and very loud sounds occurs at very similar SPLs. This helps to show why we need WDRC for sensorineural losses. Let’s now have a look at which parameters we use for varying input levels in Audiogram+. Conversational speech can fluctuate more than 30dB SPL, with soft speech consonants having a level around 45dB SPL. This means that even small compression ratios can have a large impact on different portions of speech; i.e. particular consonants and vowels. Compression ratios refer to the increase in input needed to achieve a 1dB increase in output. Though higher average ratios (more gain given to softer sounds and less to louder sounds) can allow for greater audibility of lower level inputs, they can also obscure spectral contrasts in speech, making it unclear. Audiogram+ allows compression ratios of between 1:1 and 3:1, with the prescription standardly recommending rations between 1.0 and 1.7. This will allow for maintenance of spectral cues in speech and a normal perception of growth of loudness. With compression, it is important to consider attack and release times – how quickly the system reacts to increases in input and how quickly the system reacts to decreases in input. Audiogram+ recommends or applies syllabic time constants in all programs except a Music program. This means faster attack times and relatively slow release times which are consistent with the nature of speech phonemes. The severity of hearing loss: more low frequency emphasis for severe to profound losses and more high frequency emphasis for mild to moderate losses. The configuration of the hearing loss: avoids overprescribing high frequencies with severe or greater losses where dead regions are likely present. Uncomfortable loudness levels: if UCLs are lower than predicted, gain is decreased. If they are higher than predicted, gain in increased. Presence of conductive hearing loss: Pure conductive losses provide linear amplification to the same degree as the sensitivity of the hearing loss. Use of hearing devices: If First Time User is selected the high frequency gain is lowered and compression ratios for the high frequencies increases. If Comfort User is selected, 10% less gain is applied at 2kHz and up to 25% less at all higher frequencies. In summary, Audiogram+ provides low compression ratios for clear speech and natural growth of loudness and will customise the fitting to suit your individual client’s needs. 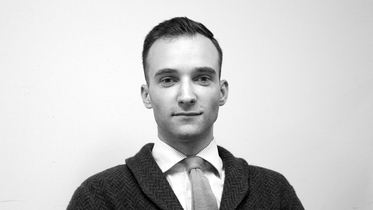 I encourage you to try it out and compare it with other strategies – I think you and your clients will be pleased. If you wish to know more, feel free to have a chat to your local Area Manager or Product Specialist.